Time for Health-Care Tax Cuts! Here are some incentives that let insurers and doctors make arrangements with needy patients. Temecula, Calif. – The raging national debate over Obamacare revolves largely around spending. Should Washington plunge itself $1.1 trillion deeper into medicine? While this conversation dominates the headlines, Americans also should consider how tax cuts could improve the delivery and payment of health care. &dash;Republicans, for instance, have proposed tax credits to help Americans purchase health insurance that they would own, control, and carry with them throughout their lives, rather than rely on employers to provide such coverage. Oklahoma Republican senator Tom Coburn, M.D., has proposed the Patients’ Choice Act, which would make insurance more affordable via tax credits worth up to $2,300 for individuals and $5,700 for families. &dash;Those with incomes too low to pay federal taxes would receive “refundable” tax credits to finance coverage. Perhaps these could be distributed as “health stamps.” Like food stamps, this would be public assistance. Health stamps, like food stamps, would let low-income Americans exercise choices — their tastes and preferences, not government’s. #ad#&dash;Tax cuts could help answer the difficult question of how to handle those with pre-existing medical conditions. Why not make premium revenues tax-free when private underwriters accept uninsured individuals with such maladies? Let’s say that Acme Insurance covers a diabetic at $5,000 annually. If that premium payment were tax-free, Acme could apply that full $5,000 to its bottom line, without paying Uncle Sam 35 percent ($1,750) corporate tax. This added value should encourage insurers to include those whom they otherwise might consider financial liabilities. &dash;As New York philanthropist R. Randolph Richardson recently noted at an Atlas Economic Research Foundation seminar, why not reward doctors who donate their services to needy, uninsured patients? Imagine that Doctor Gomez sees the uninsured every Tuesday and Thursday from 10:00 a.m. to noon. She could treat the value of these four hours of weekly foregone revenue as a charitable deduction. The goal here is to entice millions of health-care professionals to contribute their services to those who cannot afford them and cannot secure or purchase insurance. Why not turn thousands of clinics and examination rooms into the domestic equivalent of Doctors Without Borders? Government should limit itself to certifying people as uninsured and needy, so that prosperous-but-stingy people do not game the system. &dash;Washington politicians could make it easier for sole proprietors to purchase health insurance by shielding premiums from the 15.3 percent payroll tax. Large corporations already may deduct employee health costs. America’s 22 million self-employed business owners, however, must pay full freight for health insurance, plus payroll taxes on that money. The National Association for the Self-Employed cites a Mister Smith, who works for himself. His health coverage costs $5,000 annually. He also pays the 15.3 percent levy ($765) on this money. “No other owner or employer in the U.S. pays this additional tax on their health coverage,” NASE explains. &dash;Changing the rules for itemized deductions would help, too. Taxpayers may only exclude medical costs that exceed 7.5 percent of income, not the 2 percent threshold for miscellaneous itemized deductions. Lowering the medical ceiling to match that for everyday expenses would help Americans finance their own health care. Some might argue for simplifying and flattening the tax code rather than adding these fresh nuances. However, tax fighters generally prefer incentives that let insurers and doctors make arrangements with needy patients, rather than empower Washington politicians and bureaucrats to mismanage a brand-new, costly, baroque subsidy system. 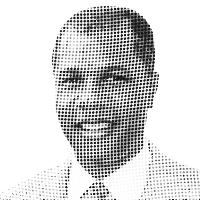 — Deroy Murdock is a columnist with the Scripps Howard News Service and a media fellow with the Hoover Institution on War, Revolution and Peace at Stanford University.